Vitamin E is an essential antioxidant that protects body tissue from the damage of harmful free radicals. The term “vitamin E” actually represents a group of fat-soluble substances that work as antioxidants in the body. The body also needs vitamin E to help maintain a healthy immune system and facilitate cell interactions and metabolism. Fortified foods like: breakfast cereals, fruit juices, margarine, and spreads. Vitamin E deficiency can affect the nervous system and the eyes. Vitamin E deficiency is rare, but it can develop in people who can’t absorb fat normally. 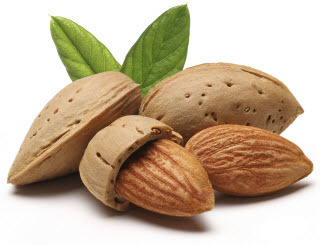 This is because vitamin E is a fat soluble vitamin and needs dietary fat to be absorbed. Vitamin E. 2/8/2011. MedlinePlus. National Libraries of Medicine: National Institutes of Health. Retrieved from: http://www.nlm.nih.gov/medlineplus/ency/article/002406.htm January 9, 2013. Vitamin E. MedlinePlus. National Libraries of Medicine: National Institutes of Health. Retrieved from: http://www.nlm.nih.gov/medlineplus/vitamine.html January 9, 2013. Jennifer Hillan. April 2006. Facts about Vitamin E. University of Florida: IFAS Extension. Retrieved from: http://edis.ifas.ufl.edu/pdffiles/FY/FY20800.pdf January 9, 2013.